A fully autonomous pothole detector that updates a visual backend in real-time, and also provides detailed data stored on an SD card. Its array of 6 infrared sensors mounted under the vehicle pointing downwards detect changes in distance between the vehicle and the road, thus detecting potholes. The system's accelerometer can also detect the potholes and abrupt shocks the vehicle experiences due to abnormal vertical variations. The system then sends that information (via the Sigfox module) to a backend that we made using Microsoft Azure, and then the information is displayed on a map interface we made using Power BI. The system also stores detailed data on an onboard micro-SD card in JSON format, so the user can recuperate that information in order to construct a clearer image of the severity of each pothole the system has detected. The blue point on the map indicates the spot where we tested the pothole detection system. The system is powered by a Li-Ion battery that's charged via a solar panel. Now let's get on with how to make this project! Once that's done, you can solder all the main components in place : The microcontroller (be careful not to put it on backwards! ), the headers for the infrared sensors, GPS and accelerometer modules, the Sigfox and finally the SD module. Once all that is soldered or connected to the PCB, you can then solder on the decoupling capacitors. 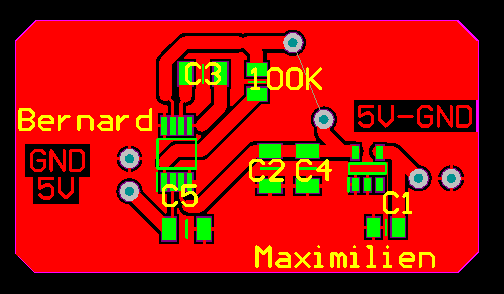 Now it's time to make the power supply PCB that charges the battery and supplies a steady 5V to the microcontroller (and thus the rest of the main PCB). The two points in the middle need to be connected, so you need to solder a jumper cable between them. Afterwards, you can solder the solar panel on the connection pads on the right of the diagram, and also solder the battery between the lower of the two middle points (the + terminal) and connect the - terminal to ground. You should now have a stable 5V between the connection points on the left. You can solder two cables to these points and connect them to the VIN and GND pins accordingly on the Nucleo microcontroller. 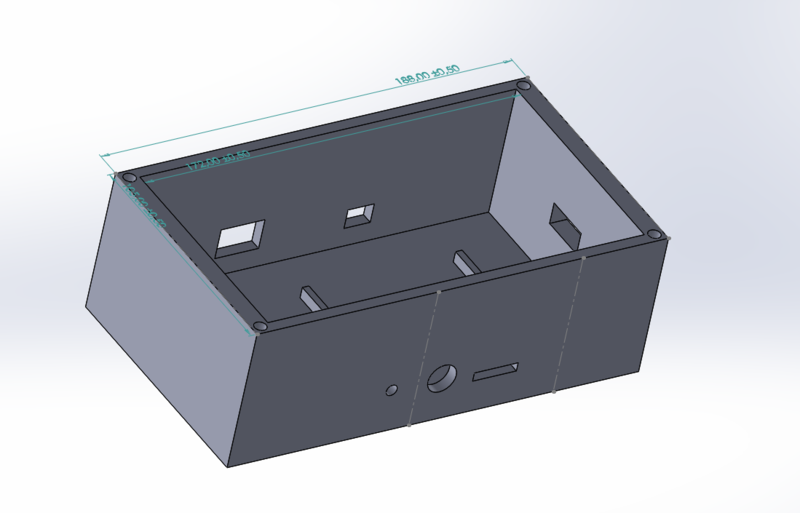 You can make a simple box container in the modelling software of your choice, then 3D print it, so as to have a container in which you can put your electronics. This is optional (you can also buy pre-made container). On to making the backend! 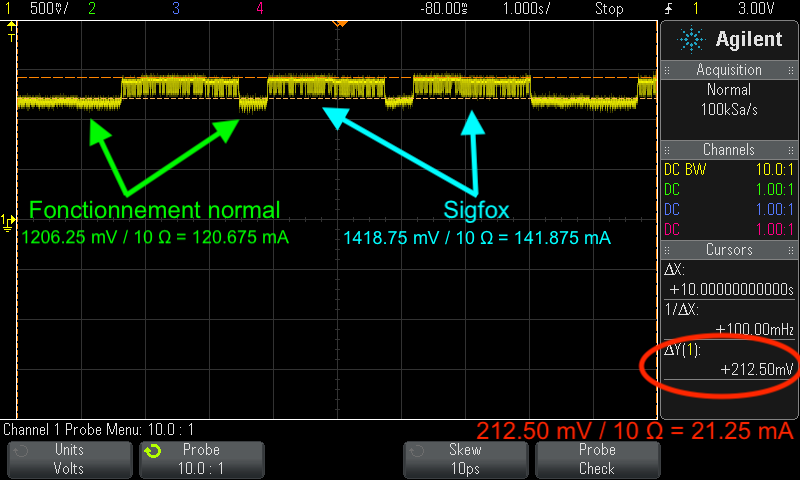 We transmitted the data to the Sigfox backend. We can send it 140 messages a day. It is sufficient since we don't detect 140 pot holes a day. We send it the latitude and the longitude of the pot holes. The backend is separated in two parts: Microsoft Azure to collect the informations and Power BI to process the data. In view of the messages we recieve from the Sigfox backend, we print it on a map on Power BI as you can see on the screenshot of the Story part. Thread irThread;                    // telemeter and the GPS. const int SeuilTrigger = 150;         // Match-to-trigger value. // Writes value into the register at the address 0x[addReg}. // Reads the value of the register 0x[addReg] and returns it. i2c.read(addr_accel, regRead, 2);           // Read the value inside. 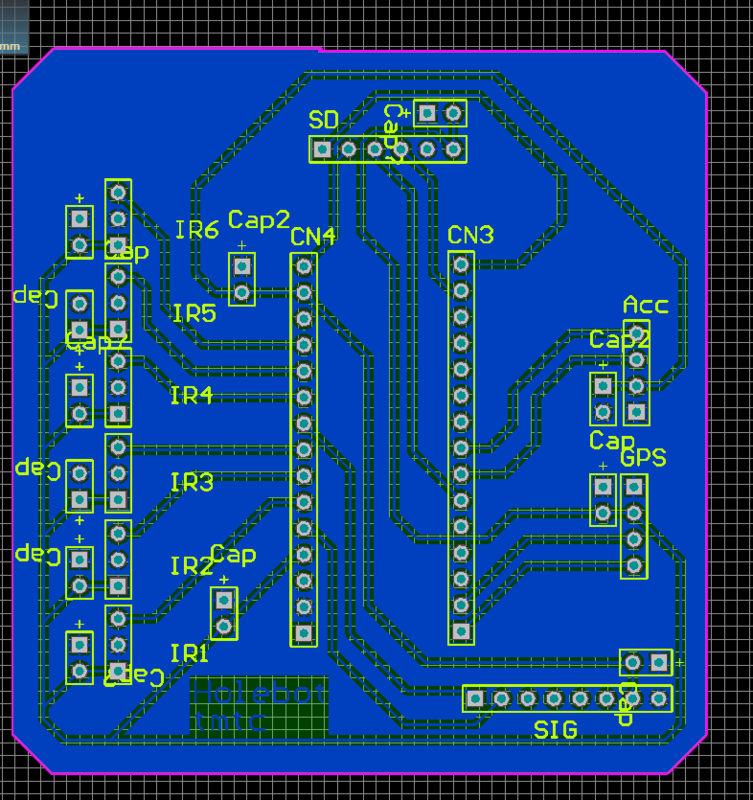 // -> p22 : Serial and I2C. write_reg(0x06, 0b00000000); // Disable tous les Interrupt. write_reg(0x08, 0b00000001); // 64 sample per second, so 1 in 0.0156 s.
// First step : Initialize the data. // Second step : Mesure the accelerations in both directions, three times. // Fourth step : Shift the whole arrays. // Finally : Put the new data into the arrays. // If it's not the first object, print a ',' character to separate them.